Hurricane Sandy, which impacted Long Beach Island at the end of October 2012, left both homeowners and those looking to buy or sell in the LBI real estate market with many questions. Two prevailing questions resonate with almost everyone involved in real estate on Long Beach Island: House Raising on Long Beach Island and Flood Insurance rates on LBI. There are many false rumors circulating that every house on Long Beach Island will need to be raised or flood insurance on LBI NJ will cost $20,000 per year or more. These scenarios are simply not true. While there are homes on Long Beach Island that need to be raised and while there are extreme exceptions where flood insurance will be very expensive, for the VAST majority of homes on LBI flood insurance will be very affordable and the homes are at or just under base flood elevation. Understanding Flood Insurance on Long Beach Island New Jersey is essential before buying or selling in the LBI real estate market and without Understanding Flood Insurance on Long Beach Island New Jersey, one can make a very expensive mistake! Flood insurance rates are based on the property’s elevation above Base Flood Elevation or BFE. Generally speaking, the higher a property is above BFE, the lower the rate will be (up to 3 feet above BFE). On the other side of the coin, the lower below base flood elevation, the higher the flood insurance cost will be for a property on Long Beach Island. Special conditions will also apply when rating flood insurance costs on Long Beach Island NJ such as if the property has a basement (and believe it or not there are homes on LBI that have basements! ), the number of flood vents in the foundation, if the crawlspace is below the grade of the property and most importantly the flood zone in which the property is located. Flood zones on LBI generally fall into an A or a V category. Most of Long Beach Island lies in an “A” flood zone which generally sees lower rates and easier building restrictions (for example, a block foundation in permitted in an A zone). A V flood zone on Long Beach Island will not only see more stringent building requirements but also generally a higher flood insurance rate. In order to be placed in a V zone, the property must be suspected of sustaining a direct wave impact of a 3 foot or higher wave. For this reason, V zones are generally limited to the oceanfront and certain bay front areas. There are a few key terms that are essential to Understanding Flood Insurance on Long Beach Island New Jersey. Base Flood Elevation: Also known as BFE this refers to the elevation above sea level a property is recommended to be built to. The BFE is obtained by combining the natural ground elevation with the foundation’s structure. Flood Insurance Rate Map: Also known as a FIRM map, these maps are produced and distributed by FEMA and show the BFE of a certain area like Long Beach Island, the flood zone and risk premium zones. Pre Firm: This term relates to homes built before the first FIRM date (December 31st 1974). Most of the Cape Cod style homes on Long Beach Island are considered to be Pre-FIRM construction unless they have been substantially improved. Post Firm: This term relates to home built after December 31st 1974 and were built to the standards of flood elevation at that time. 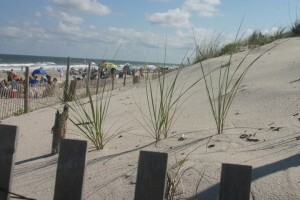 Post-FIRM homes on Long Beach Island are generally raised on pilings. The actual costs of flood insurance are impossible to estimate exactly in the absence of a flood elevation certificate. This document, which can be obtained from a survey company, tells not only the ground elevation but also any special conditions that will impact the flood premium on LBI. FEMA does however offer some examples of what costs will be for a property on Long Beach Island using some very broad assumptions. A single family home in an AE flood zone with the maximum amount of flood coverage that is located 4 feet below BFE can expect a premium of around $9,500/ year. To be clear, there are very few, if any, homes on Long Beach Island that are 4 feet below BFE. A single family home in an AE flood zone with the maximum amount of flood coverage that is located at BFE can expect a premium of around $1,410/ year. Most Pre-FIRM homes on Long Beach Island will fall into this category of being at Base Flood Elevation or being 1-2 feet below. A single family home in an AE flood zone with the maximum amount of flood coverage that is located 3 feet above BFE can expect a premium of around $427/ year. Clearly the savings is substantial on an annual basis however it is important not to forget that there is a cost associated with the raising of a house as well as a tax increase that will result from a reassessment thereby negating some of the savings. It is important to understand that the above are estimates for an assumed property. Every property is different and it is therefore best to consult with an insurance agent to understand what the exact flood insurance premium will be for a specific property. Flood insurance is required for any home on Long Beach Island that has a mortgage. In the absence of a mortgage, flood insurance is left to the homeowner to decide if it is worth the expense. Since flood insurance does cost money it is a factor that must be considered when looking to purchase real estate on Long Beach Island. If a property is at or above Base Flood Elevation, a seller can point to this as a positive to their property which can help with the sale of a home on LBI or net the seller more money in their Long Beach Island real estate transaction. On the other side, buyers may be more attracted to a property in which their flood insurance rates will be lower. The key to buying and selling in the LBI real estate market, as far as flood insurance is concerned, is Understanding Flood Insurance on Long Beach Island New Jersey and how to best address the positives or negatives concerning the specific property. There are without a doubt some excellent opportunities in buying storm damaged homes and there are equally excellent opportunities for sellers as there are many buyers currently active in the LBI real estate market on Long Beach Island. If you are interested in buying or selling real estate on Long Beach Island and would like more information on Understanding Flood Insurance on Long Beach Island New Jersey please feel free to contact me, Nathan Colmer, with any questions and I will be happy to help! 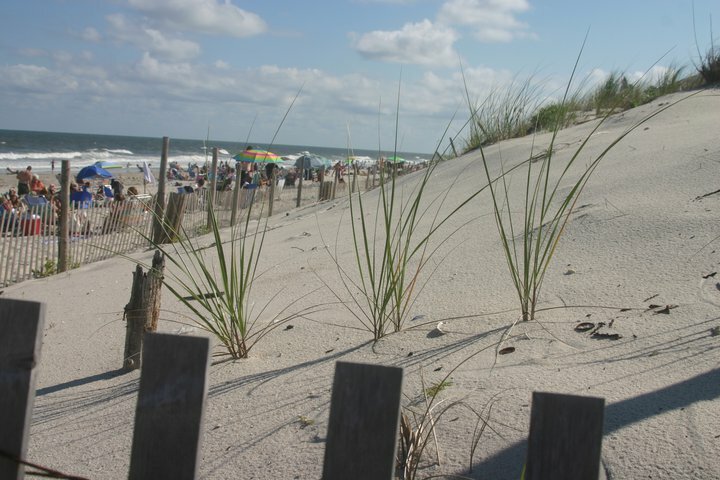 You can also start your Long Beach Island real estate search by clicking here to search all homes for sale in the LBI real estate market.